Thursday, October 18th, 2018 – The 12th annual New South Wales Touch Association State Awards was held last weekend at the Bankstown Sports Club. These awards recognise excellence within all aspects of our sport and organisation. The NSWTA night of nights is positioned in the midst of our State Conference, a valuable opportunity for those in our sport to be recognised. 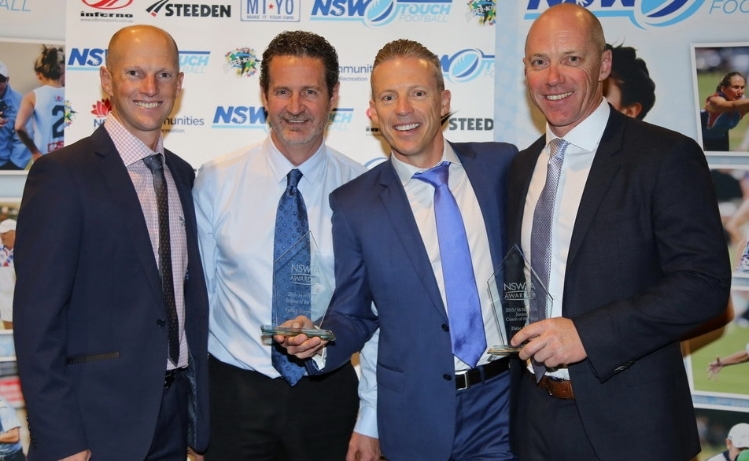 The NSWTA Awards took place last night recognising excellence in all endeavours of our sport and organisation, with NSW Touch once again putting on a gala event at Bankstown Sports Club. 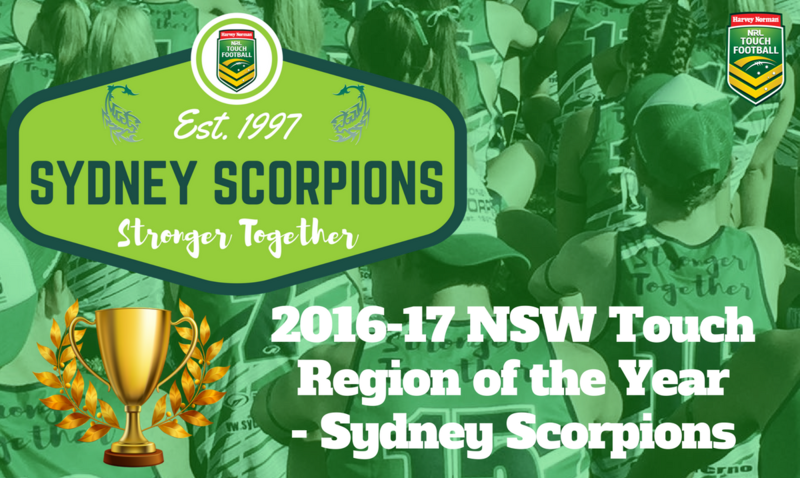 Sydney Scorpions were once again announced Region of the Year, which was warmly received highlighting excellent recognition to all at Scorpions who have worked tirelessly to make our permit number one. However it wasn’t just at regional level but also at affiliate level with Scorpions clubs, players, coaches and teams dominating the evening taking out the majority of awards. Congratulations to both Manly Warringah & Hills Hornets who were named joint Scorpions & NSWTA Affiliate of the Year. Graham Knights (Manly Warringah) was awarded the Rod Wise Medal for NSWTA Volunteer of the Year, along with President of the Year. Brad Mitchell (Hills Hornets & Scorpions) once again took home a number of awards including both Scorpions & NSWTA Administrator of the Year. Rina Janson from Northern Suburbs TA took out the inaugural Referee Director of the Year. On the player front Parramatta & NSW Scorpions Men’s captain Daniel Barton took out a rare double in winning the NSWTA Male Player of the Year & Boland Medal. Danielle Davis from the Manly Warringah club won the NSWTA Female Player of the Year for the second consecutive year, with her team the Manly Warringah Women’s Open winning Team of the Year for their double Vawdon & State Cup titles last year. Sea Eagles coach Barry Gibson was named NSWTA Coach of the Year once again with young gun Pihuka Duff from Manly Warringah announced as the Junior Female Player of the Year. Once again congratulations to all award recipients, including those below from our Scorpions region.